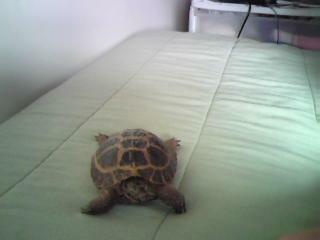 I have a pretty tortoise. Her name is CACHITO. She is a girl. I had her for more than 3 years. She is so pretty! awww shes so cute! whats her breed?